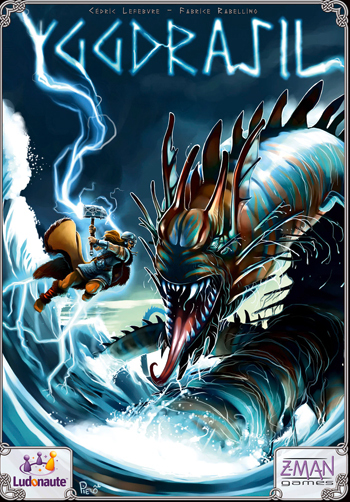 Yggdrasil is a co-operative game where the players are Norse gods trying to stop the evil ones causing the end of the world. The first thing that strikes you is the artwork which is colour-rich, polished and seems almost backlit – which will be familiar to you if you’ve played or seen Ghost Stories as it’s by the same artist. The board shows the great cosmic tree that supports the nine worlds. 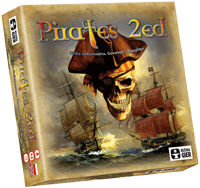 ‘Pirates (2nd Edition): The Governor’s Daughter’ (which I’ll call Pirates from now on) was launched at Essen last year at the same time as ‘Merchants & Marauders’. From reading the rules, Merchants & Marauders seemed like it would be the detailed game and Pirates would be a more simple Eurogame so they both interested me. 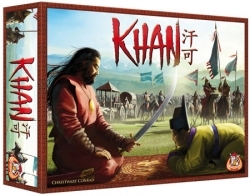 Khan was released at Essen in October 2010 and I finally got my chance last night and it was worth the wait. The setting is 1244 and each player is chasing out the existing 8 Mongol leaders in order to conquer more territory than their opponents. Each player their own coloured set of counters representing their yurts (which are like large tents) and starts with some special action cards and a hand of 4 random cards. Crows was on my radar when I read the rules before Spiel, so I bought a copy there and finally got to play it this week. 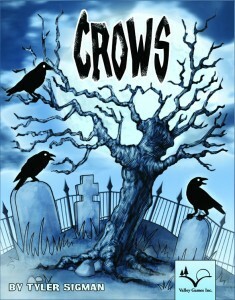 Crows is a simple game for 2-4 players but contains a surprising amount of tactical play. 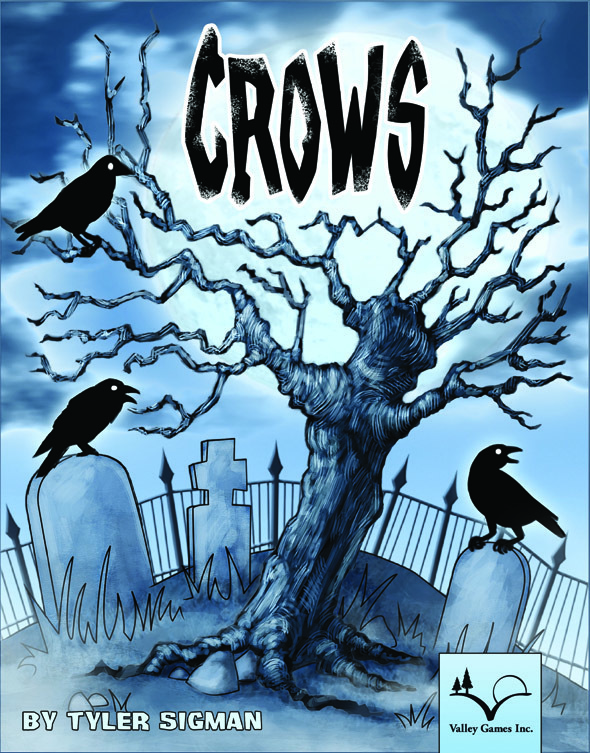 The game consists of tiles (most showing a tree with 0, 1, 2 or 3 crows on each), some special ability tiles and lots of crow meeples. Each player gets a coloured gem (shiny object) too. A player’s turn consists of: 1. Draw a random tile and add it to those on the table; 2. Place their shiny object on an empty tile; 3. (Optionally) play one special ability tile. Once each player has had one turn, the crows move towards the nearest shiny objects and players score points based on how many crows are on the tile with their shiny object. If there are 6+ crows on a tile, they scatter. Finally, the starting player moves on to the next player and another round begins. 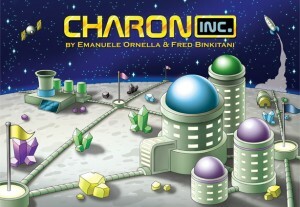 When there are no more tiles to place, the game ends and the player with the most points wins. 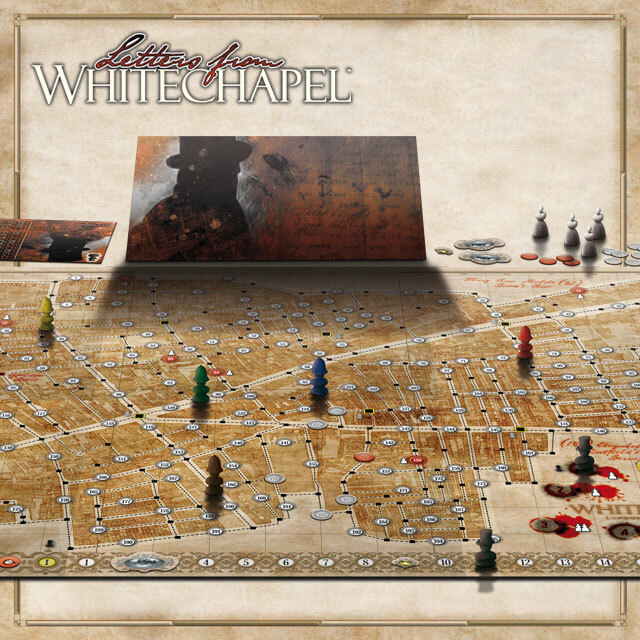 I like Scotland Yard and think it’s a great game for both new and experienced players so Letters From Whitechapel is very intriguing as it sounds like Scotland Yard with more meat. One player is Jack the Ripper who needs to perform a series of murders and the other players are the police trying to catch him before he has completed his grizzly activities and escaped. As with Scotland Yard, Jack moves invisibly on the board so the police need to find his trail and get ahead of Jack. The core element of the game is trying to read the other opponent(s) and predict where they will go next. 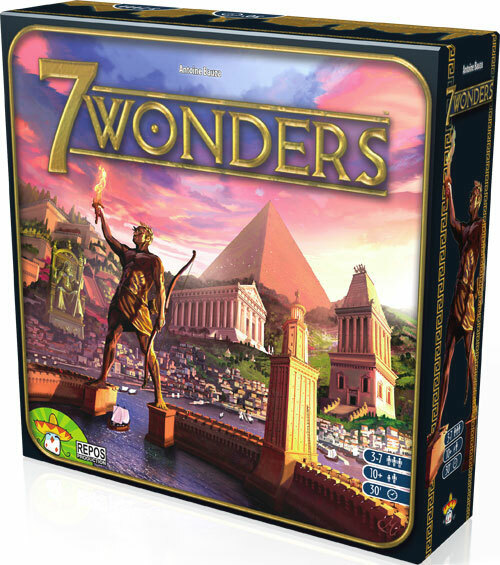 7 Wonders was the most anticipated game of Spiel 2010 with a very effective pre-launch campaign and general word-of-mouth. During the game, each player builds various buildings including developing their wonder of the world. The winner is the player that scores the most victory points (VPs). 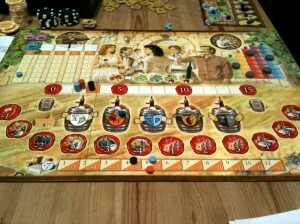 Grand Cru is one of several wine-making themed games released at Essen this year. 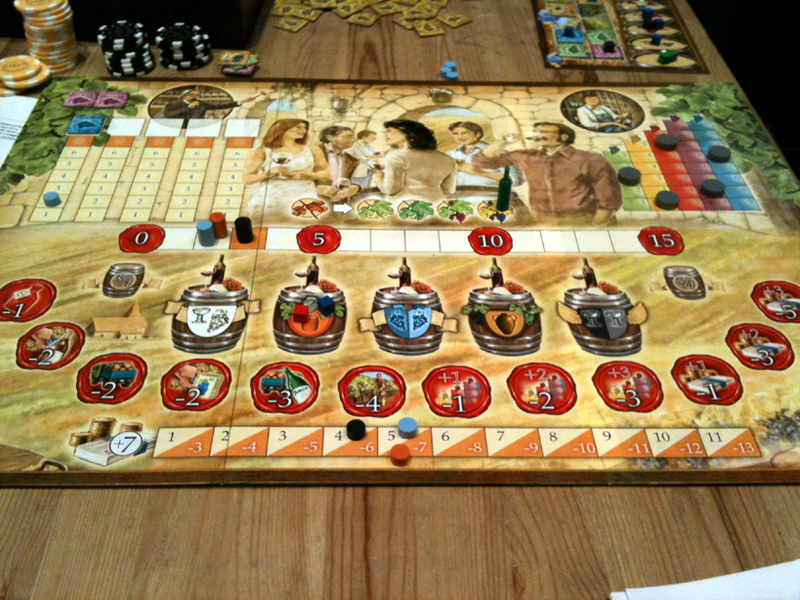 Each player owns a vineyard (board) where they will place the wine they make and any tiles they buy – each tile shows either one type of vine or a special action. There are 5 types of wine each represented by a different colour (which represents a type of grape/vine). Players take out loans during the game (each worth 7 cash) but must pay interest each round. Each round players take turns performing just 1 action each. Prior to Essen, The Boss caught my attention when I read the rules so I pre-ordered a copy and I’m glad that I did. 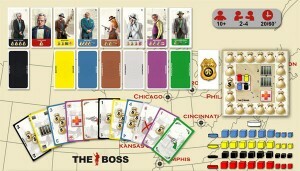 The Boss is a simple but very clever game of deduction, bluffing and risk-taking with a gangster-theme. 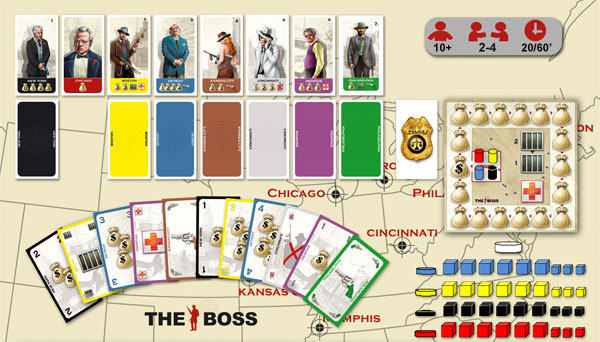 The game lasts 3-5 rounds and the winner is the player with the most cash.